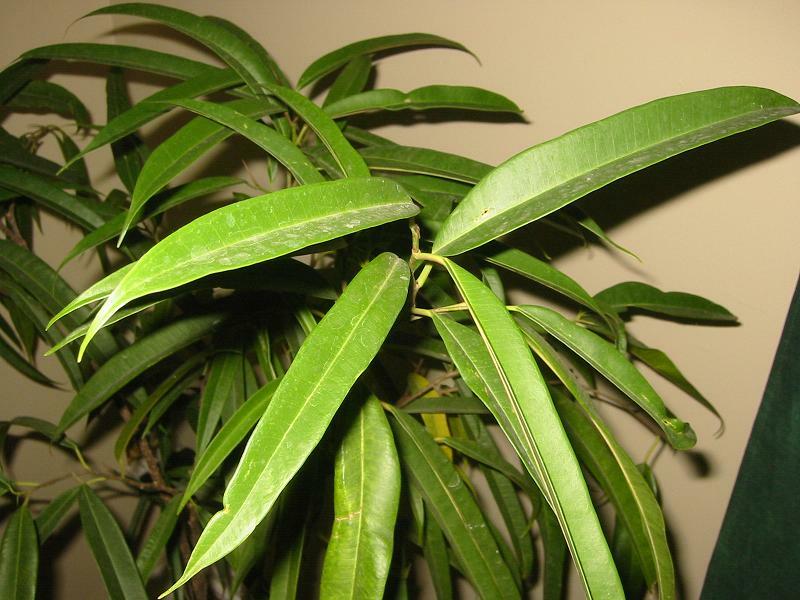 Name that plant: I bought a tropical houseplant at a local hardware superstore and would like to know what it is. I would guess it's pretty common. Any ideas? This seems to indicate it can be called a long leafed ficus, or Ficus longefolia. ive never seen a long leafed ficus. nice find! fun fact: ficus can put down 20 feet of root in one year. If you devise a means to digging it all up, you can replant the bottom 12 inches or so, then bend the remaining root into whatever form you like. After about a year, the exposed root will harden into additional truck - making a living sculpture. 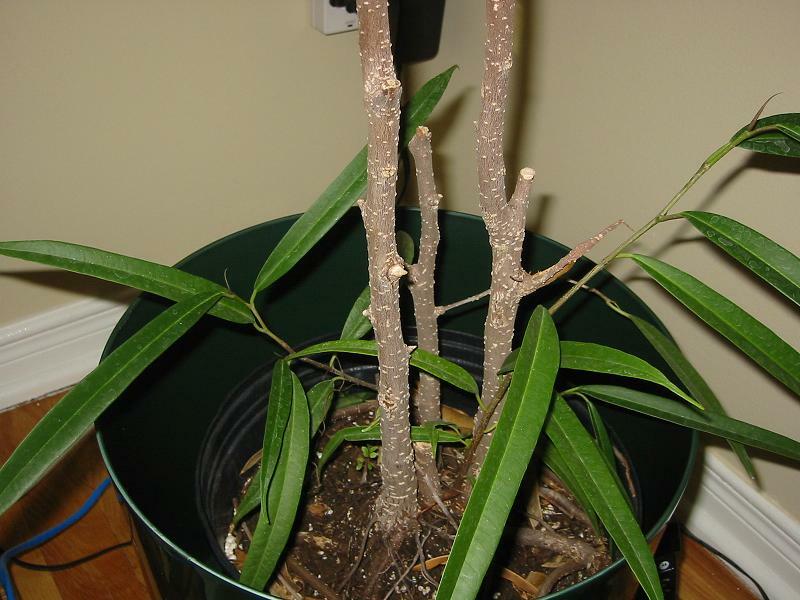 If you've ever seen a ficus in a lobby, its trunk was probably braided using this method. Ive seen ficus turned into a lawn chair, a bunch of them braided together into a small pavilion, and a bunch of other neat things. have fun. The best advice I can give you for your ficus is not to move it around once you've found a place for it. They will lose a lot of leaves if moved. AFAIK, in the trade at least, this handsome plant is called a Ficus alli. They are elegant in appearance, and tend to be much less susceptible to leaf drop than Ficus benjamina (what we all know in the usa as an indoor fig tree). That gets me more photo links, it's true. This thing may just survive the winter. 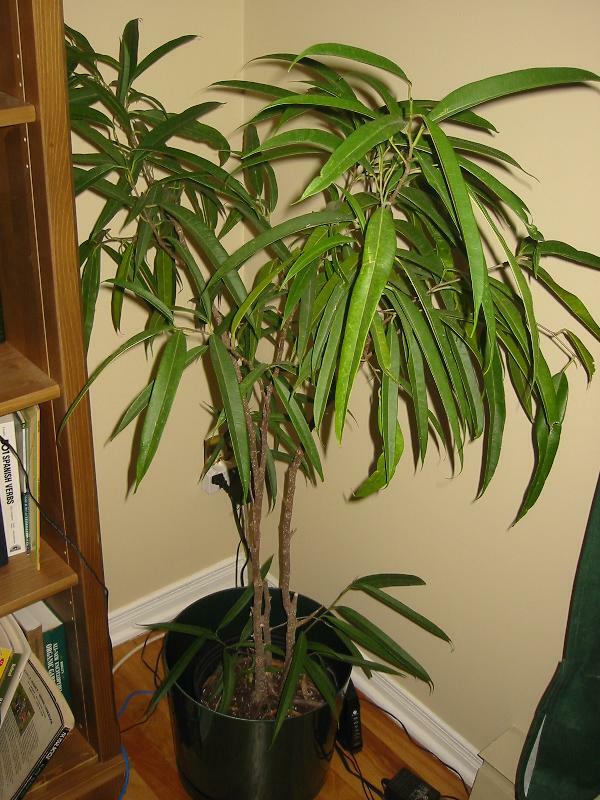 I had a Ficus alli for years. They're pretty hardy and not nearly as picky as the benjamina variety (in my opinion). Keep it by a filtered window---even bright northern light would be ok.
Water it sparingly in winter and don't fertilize. In the spring, you step up the watering and fertilize lightly. It likes being pot bound so you needn't worry about re-potting it every year either. You'll know when it needs re-potting when it gets obviously too large for the pot and roots emerge from drain hole on bottom of pot, etc. Also try to give it a warmish shower every few weeks even in winter, but more often in the growing period. This is good for the leaves and to discourage pests/mites. Failing that use a mister to spray the leaves to prevent any dust build-up. Good luck! Try back lighting them in the evenings with a spot light--it has a dramatic/elegant effect.